My Review of a Book Review: The Novel, A WILDER ROSE. Sometimes, I just can’t resist commenting. And as far as I am concerned, it is equally as dangerous to assume that a novel is to be relied upon as fact as it is to assume that one person’s private journals and correspondence are not somehow biased. 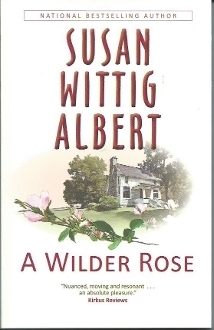 My comments below are geared toward the reviewer, NOT toward the author of the recent novel, A WILDER ROSE, Susan Wittig Albert, who defines her own work as a novel, not fact, and who spent a great deal of time reading Rose Wilder Lane’s personal papers to use them as a springboard for the story. To be clear, I am in full support of everyone coming to their own conclusions; however, I feel it is imperative to point out logical fallacies and lack of substantive evidence when appropriate. I don’t think there is any way to ever know with 100% certainty exactly what happened in the collaborative process between Laura Ingalls Wilder and Rose Wilder Lane. All Wilder scholars know that a collaboration happened on some level or another between Laura Ingalls Wilder and her daughter Rose Wilder Lane. But leaving out facts to make an argument only serves to undermine that argument. I have reblogged the review as it was contained in the Discover Laura blog, in its entirety. My own comments follow the Discover Laura Blog piece.